Someone You Should Know - Kareem Bryant. Kareem Bryant is someone you should know! As a child, Kareem was afforded the opportunity to play the game by a few dedicated men and women who believed strongly in the power of tennis to improve lives. He states that “the best way to pay homage to those that taught me the game was to do for others the way it was done for me.” Kareem’s entire career supports this personal mission. After spending ten years in the Philadelphia public education system as a teacher, school administrator, and Principal, Kareem took his expertise in education and transferred it back to the court by joining Legacy Youth Tennis and Education. At Legacy, Kareem served first as a program coordinator and then as the Director of Neighborhood-Based Programming, where he took the game of tennis to the neighborhoods of Philadelphia. 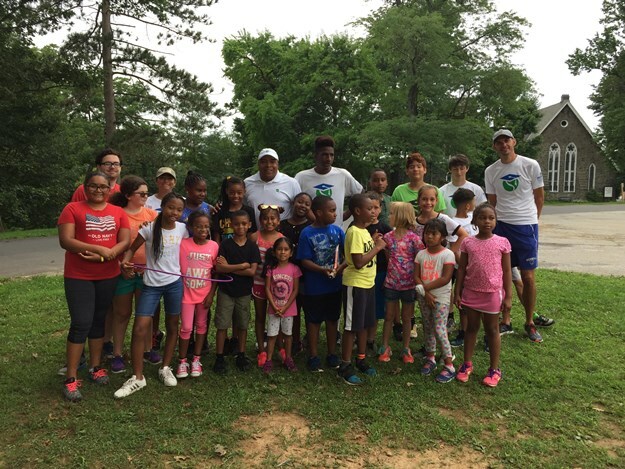 From Legacy, Kareem joined Rodney Street Tennis and Tutoring Association as the Executive Director in August, 2017, where he works to improve the lives of underserved youth in the local community through tennis and education. When he's not improving lives on the court, Kareem can be found cooking, traveling, playing golf, or spending time with his family!